Whether you need windscreen repair or complete windscreen replacement in Cooma, you can rely on the team at National Windscreens to provide the assistance you need. We’re proud to offer a wide range of fast and reliable mobile car window services for locals in Coffs Harbour and surrounding areas such as Coolringdon, Dairymans Plains, Binjura, Rock Flat and Polo Flat. From standard windshield repair and replacement jobs through to car side window replacement, windscreen chip repair and rear window replacement, we can deliver the services you need to restore your car to a safe and driveable condition once more. We also offer services for light commercial vehicles such as buses and trucks, allowing us to provide emergency windscreen replacement and repair for all vehicle types. 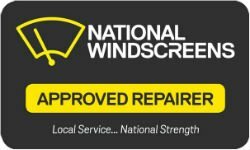 From windscreen repair and windscreen replacement in Cooma through to window chip repair in nearby areas such as Coolringdon, Dairymans Plains, Binjura, Rock Flat and Polo Flat, there’s nothing National Windscreens can’t help you with. Contact us today to make a booking or learn more about how we can help you.